Planning ahead is key if you’re gluten free. Everything from grocery shopping and having to read labels, attending parties, buying cosmetics and especially traveling! 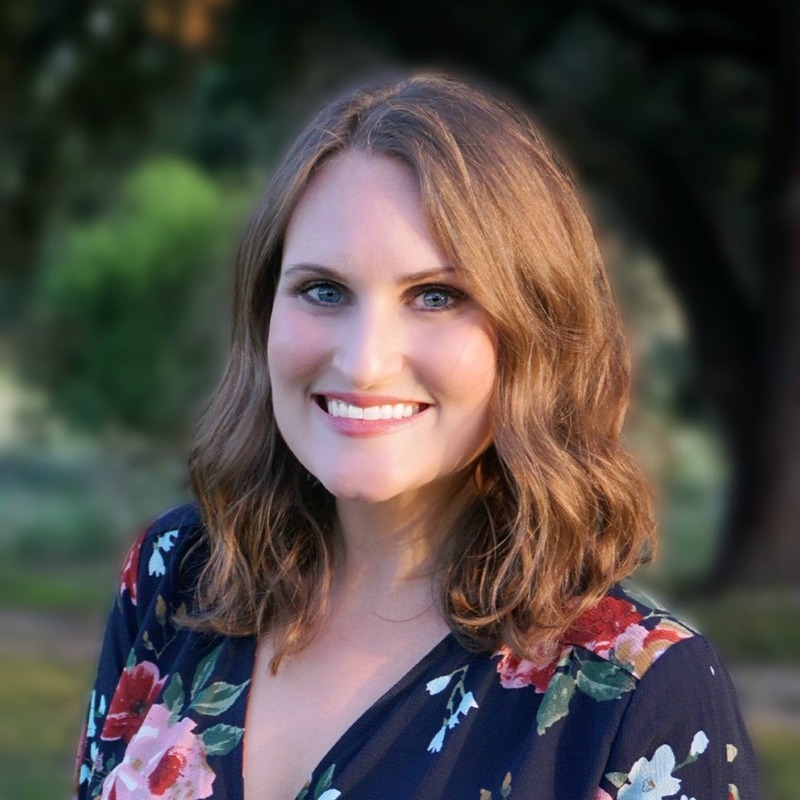 Unfortunately, those of us with celiac disease can’t just pick up and be spontaneous, however that doesn’t mean we have to miss out! 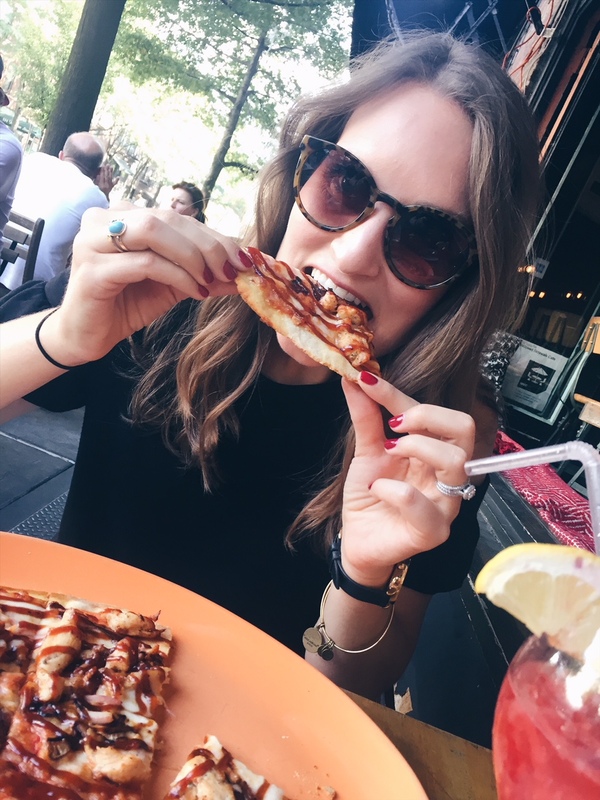 Traveling when you’re gluten free can be stressful since you want to make sure you have places to eat, yet not get sick! If you research ahead of time and feel confident in your decisions, that will really allow you to enjoy your trip and not feel anxious. 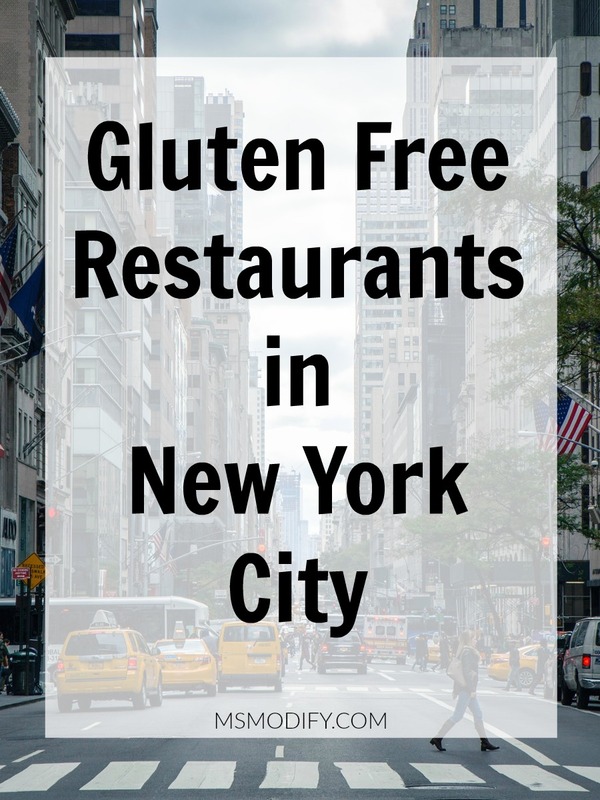 Before we even booked our hotel in New York City I researched gluten free restaurant options since I knew we wouldn’t have a car and didn’t want to have to walk 5 miles to go eat or spend a bunch of money on Uber! I used my favorite “GF Restaurant Finding” App and set the filter to “dedicated facilities” since I didn’t want to take a chance getting sick! To my surprise, there are SO many dedicated GF options in NYC! 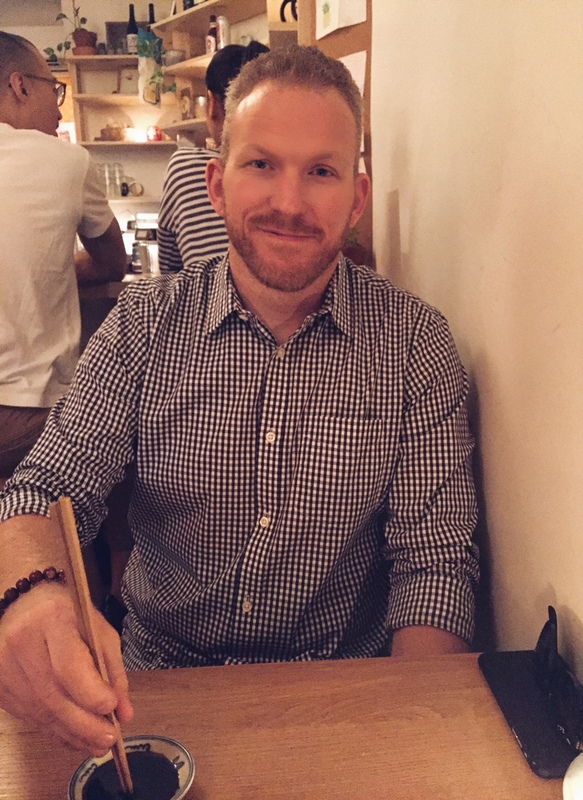 Once I read reviews and looked at menus I narrowed down a few that I was interested in. From there, I mapped out how far each one was to different things we planned on seeing. 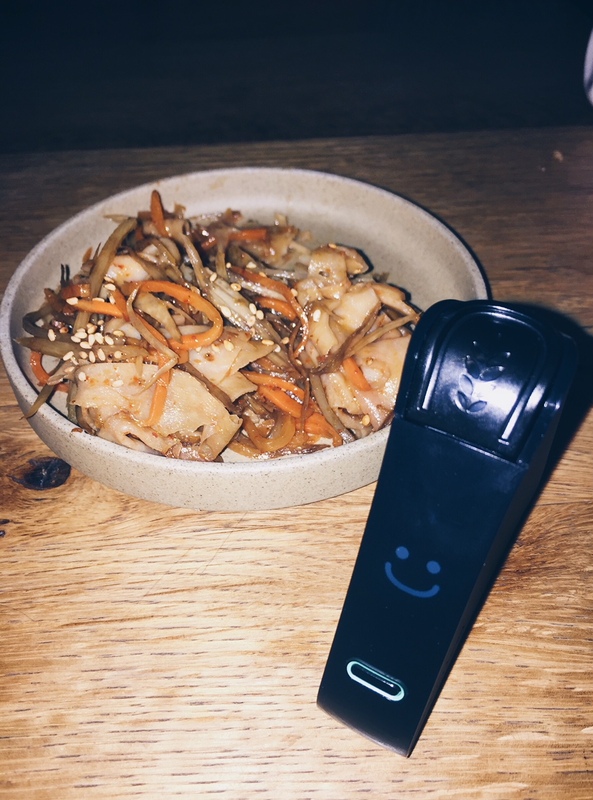 This really helped when we were there so we didn’t have to plan our day around food (which unfortunately happens often when you’re GF and traveling!). 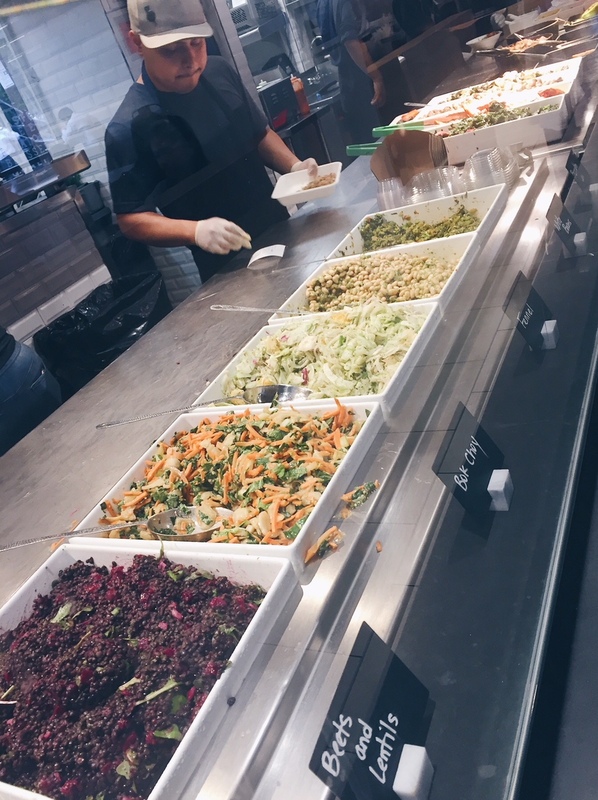 Every place I’m recommending here is a dedicated gluten free facility! This is a great place to grab a quick bite. 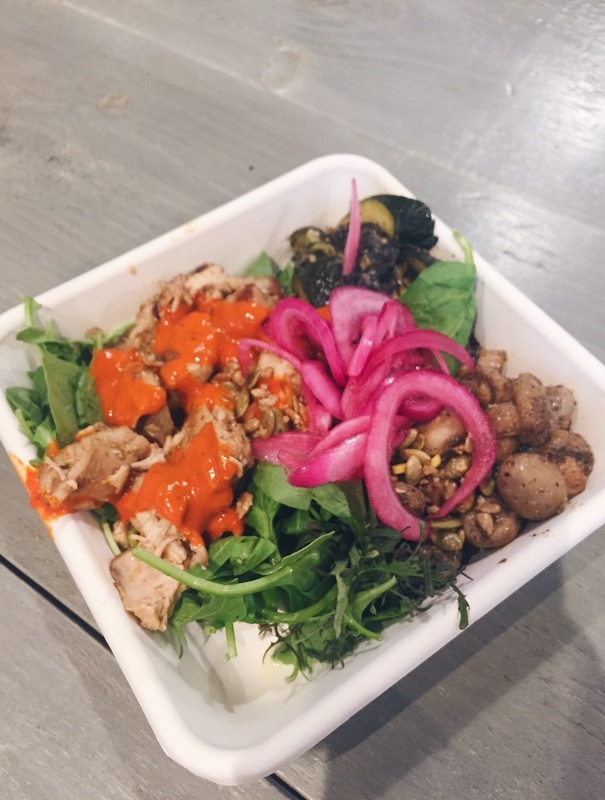 You go up and choose your base for your bowl (salad, gf grain, or rice), then your protein, veggies, sauce, and garnish. There were so many options that I asked the guy taking my order for his suggestions. 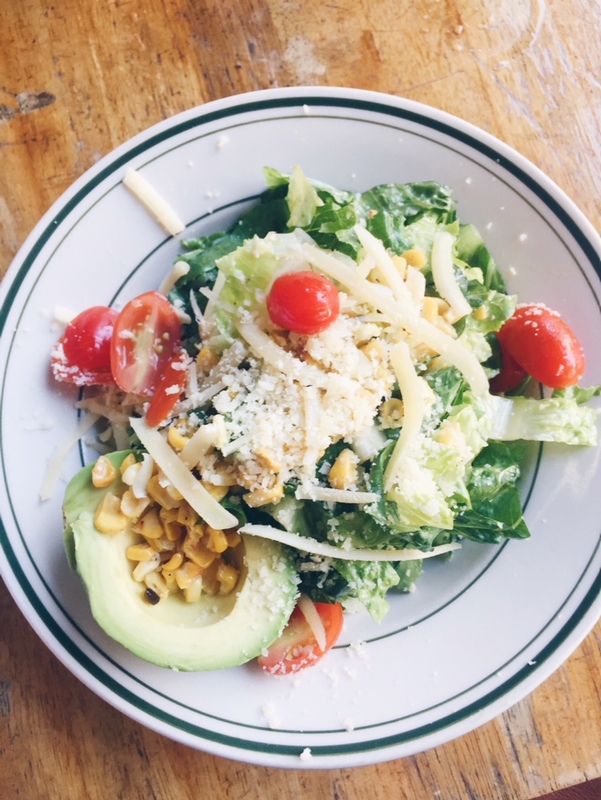 I just told him I wanted salad and no legumes, and then let him surprise me! I’m not exactly sure what sauce it was, but it was delicious! Since we were in NYC for my sister-in-law’s wedding, I knew I wouldn’t be able to eat the food at the wedding, so I planned ahead… I packed a lunch box and Tupperware. 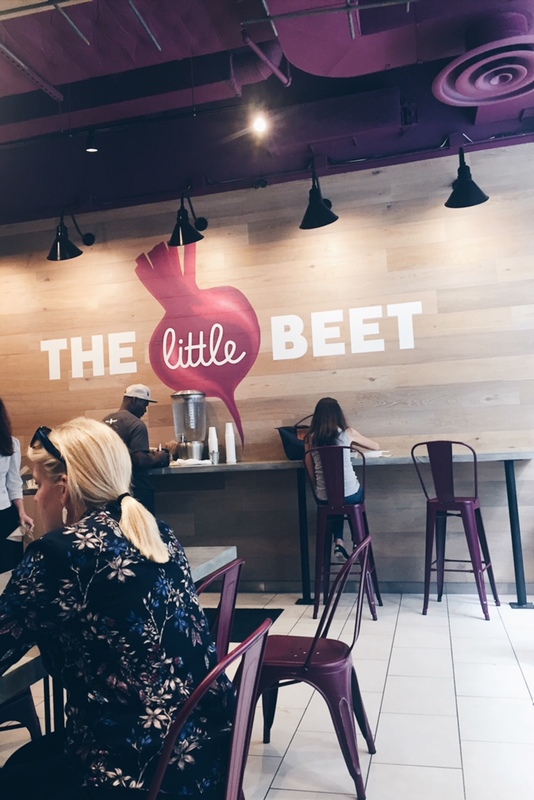 We went back to The Little Beet (they have many throughout the city) the morning of the wedding and asked them to pack everything separately and then transferred it into Tupperware (so it wouldn’t get soggy). It worked out perfectly! This is a cute, little Japanese restaurant that was packed! The entire time we were there, there was never an open seat and people kept coming! The owner was so sweet and brought us into the back to see the kitchen, which was a cool experience! 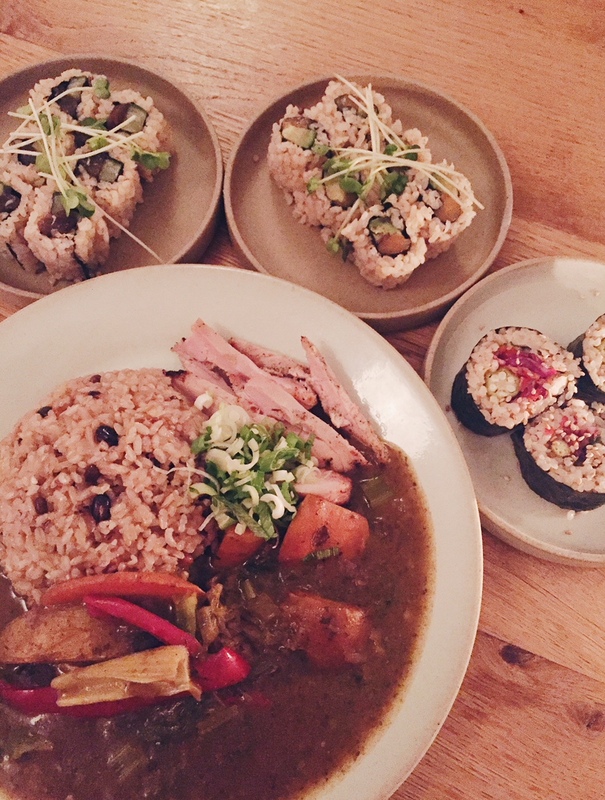 I asked her what she recommended we try and she suggested a few sushi rolls and the chicken vegetable curry. My Nima found gluten in the dish!! Ugh… this is not what I was expecting or wanting to see. I called the owner over and explained to her what I found. She didn’t know about the Nima Sensor, so I was happy to explain it to her. She was extremely concerned and apologetic since they pride themselves on being a gluten free kitchen. After testing everything separately, we determined it was either the rice or beans (I tested them together). So needless to say, I didn’t eat the sushi either. She then brought out a veggie side dish and chicken dish (made separately), so I tested them each. Yay! The veggies came out gluten free! When I tested the chicken it came back with an error message. Ugh… I must have put too much in since I was so eager to eat! I was pretty darn hungry at that point and didn’t have another test capsule on me so we asked them to pack it up and I took it to the hotel to test. It came back gluten free (sorry I was too hungry to take a pic!) and it was delicious! Just last week, once I was back home, I received an email from the owner saying that she followed up with all of their suppliers and it turns out the beans that come from Japan, come from a facility that also has wheat in it. She apologized again and thanked me for bringing this to her attention. This just goes to show, just because it’s a gluten free kitchen doesn’t necessarily guarantee it to be 100% gluten free. I would absolutely go back to Gohan now that they’re aware of cross-contamination in facilities. I want to give a big thank you to them for caring so much and following up! 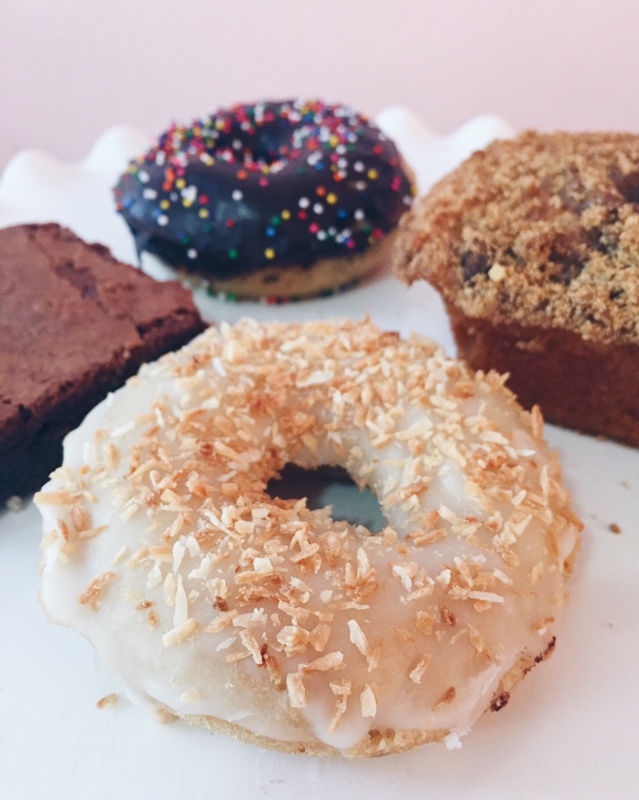 Hello gluten free baked goods! 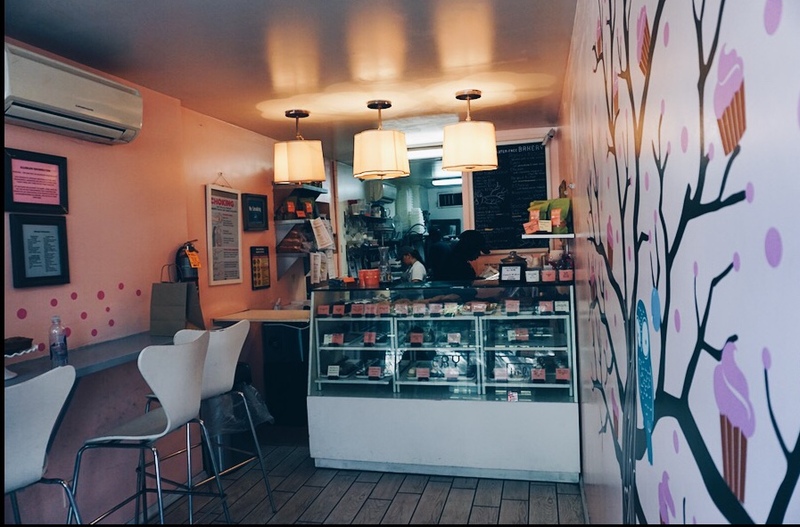 Tu- Lu’s is a small dedicated gluten free bakery in a cute neighboorhood. You know you’re in good hands when you see this poster on the wall! 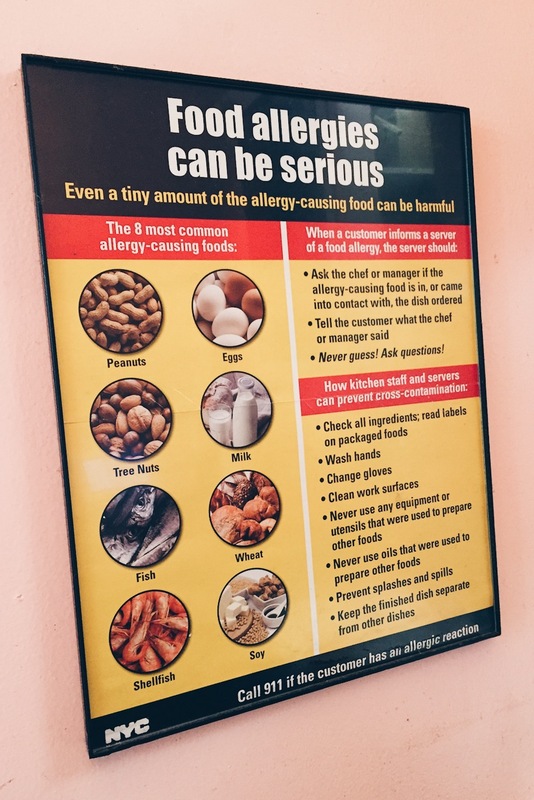 I spoke to the staff and they were extremely knowledgeable about food allergies, cross-contamination and specific ingredients used. 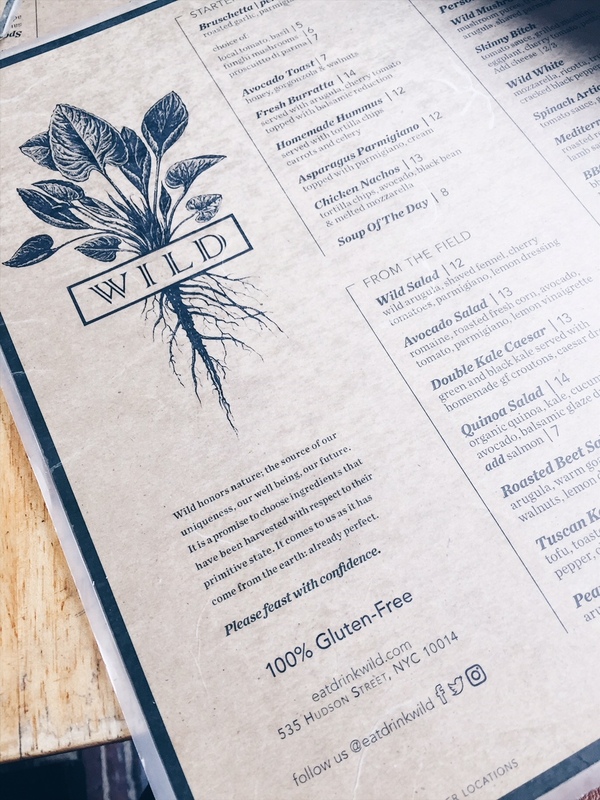 The West Village was one of my favorite neighborhoods in the city, so I was excited to try Wild there! The weather was perfect, so we sat outside on the patio. Yay! I love seeing “100% Gluten Free”! Our server recommended I try their berry sangria and I’m SO glad I did! 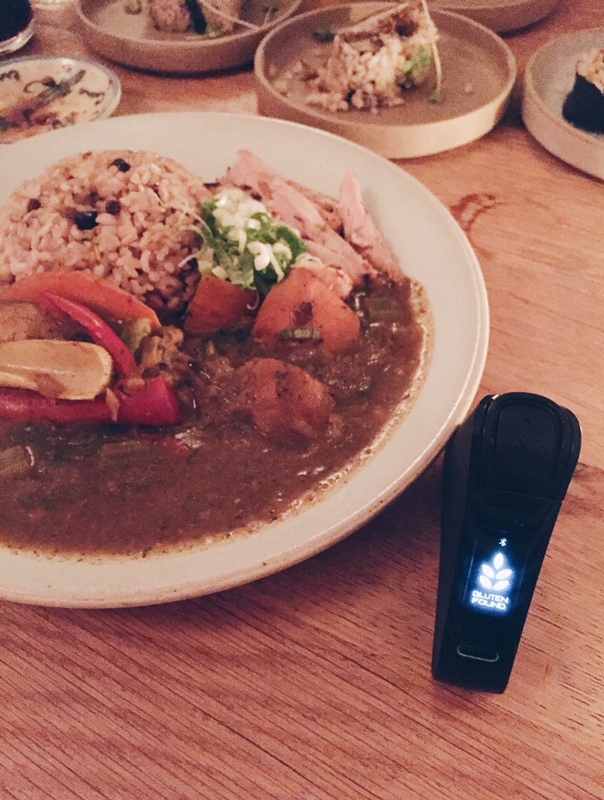 We started with the Avocado Salad and I’m sad to report… my Nima Sensor detected gluten! After I re-tested everything separately, it turns out the corn was the item with gluten! I was in a little shock, so I honestly forgot to take a picture with the Nima in it. The staff here was so wonderful too! Erik ate it and loved it! 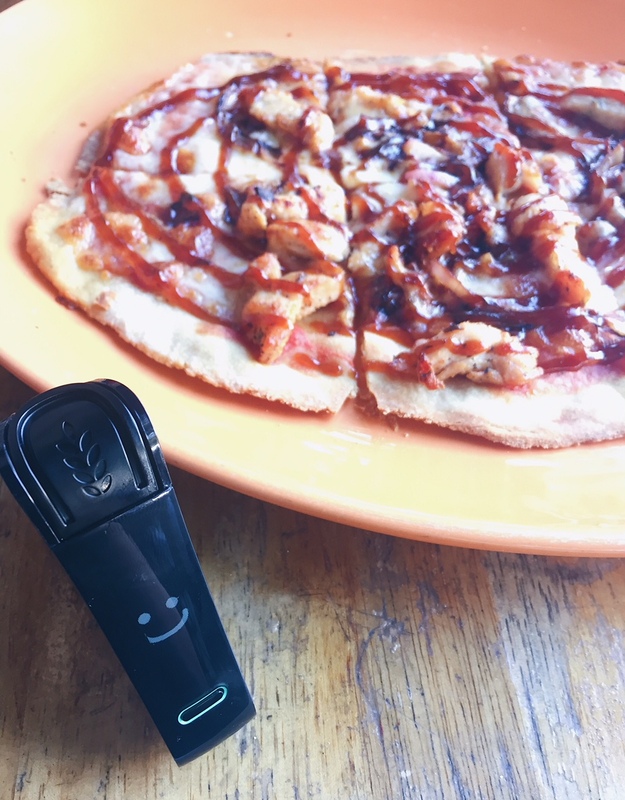 Then we got our BBQ Chicken Pizza and…. yay!! Gluten Free! 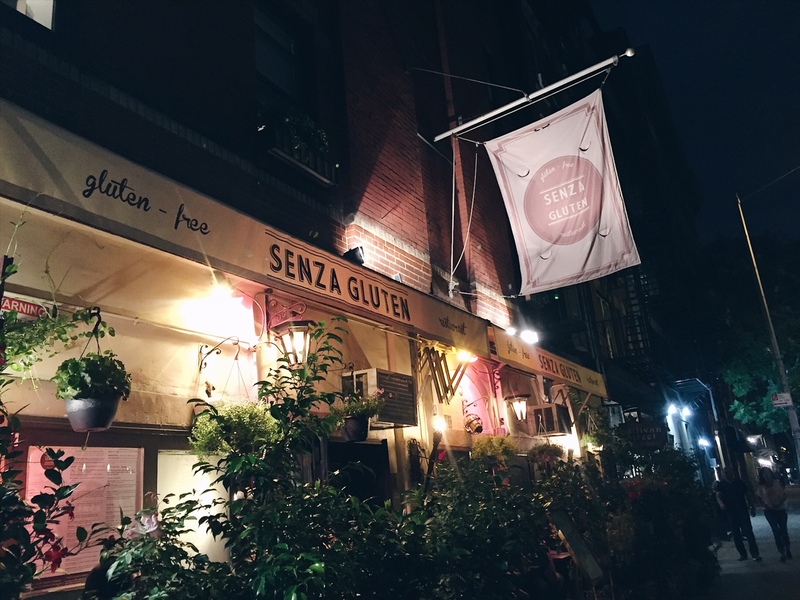 I’d like to introduce you to the king of all gluten free restaurants in NYC… Senza Gluten! 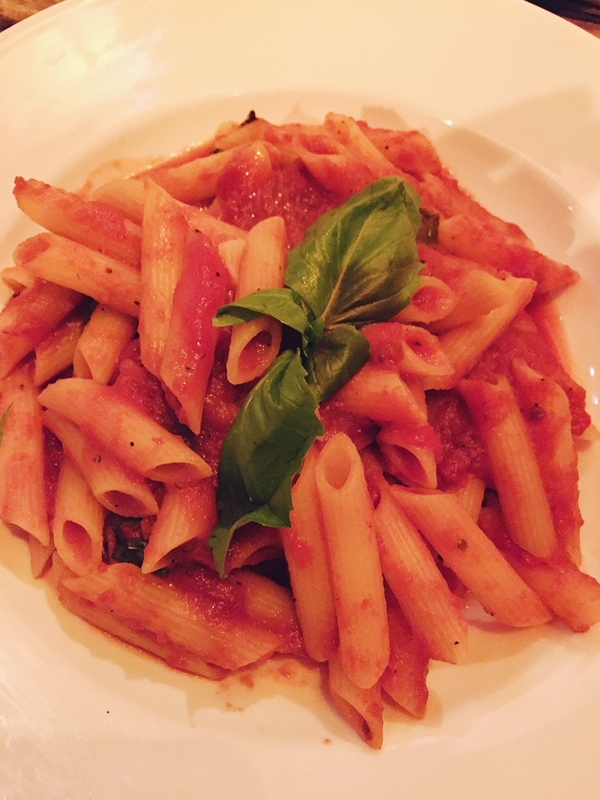 Senza Gluten is an Italian restaurant that’s 100% gluten free and is very well known! 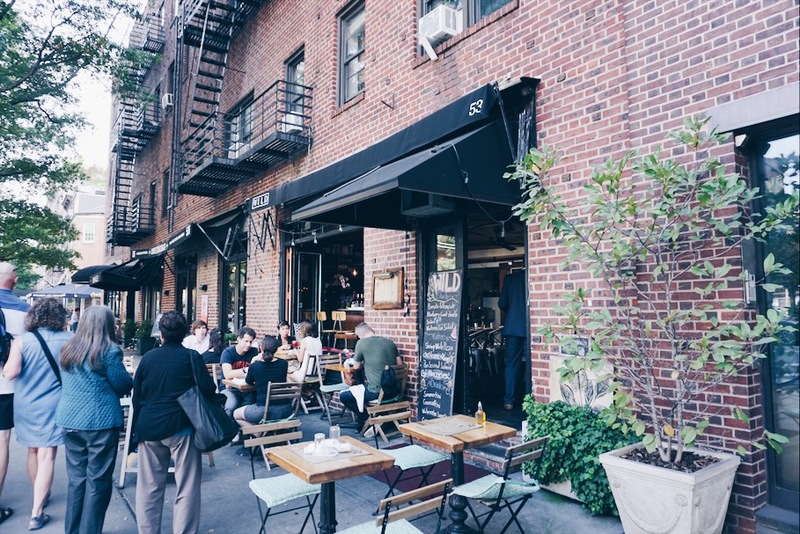 When I asked everyone on Instagram for suggestions on where to eat in NYC, this was hands down the most recommended place. *We sat outside and it was dark, so I apolgize that my pics aren’t the best! 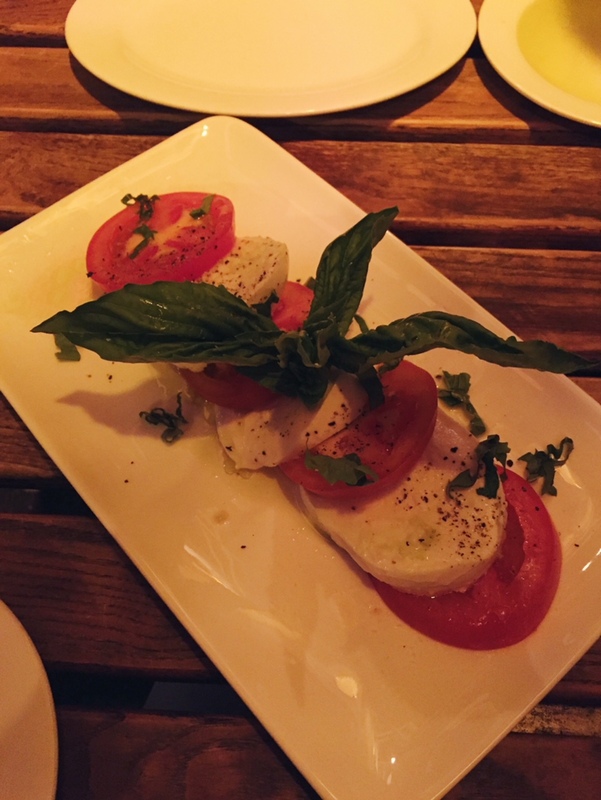 We started with a basket of bread and the Caprese Salad. Yum! Since I’m typically unable to eat at Italian restaurants, we decided we would split everything we ordered! 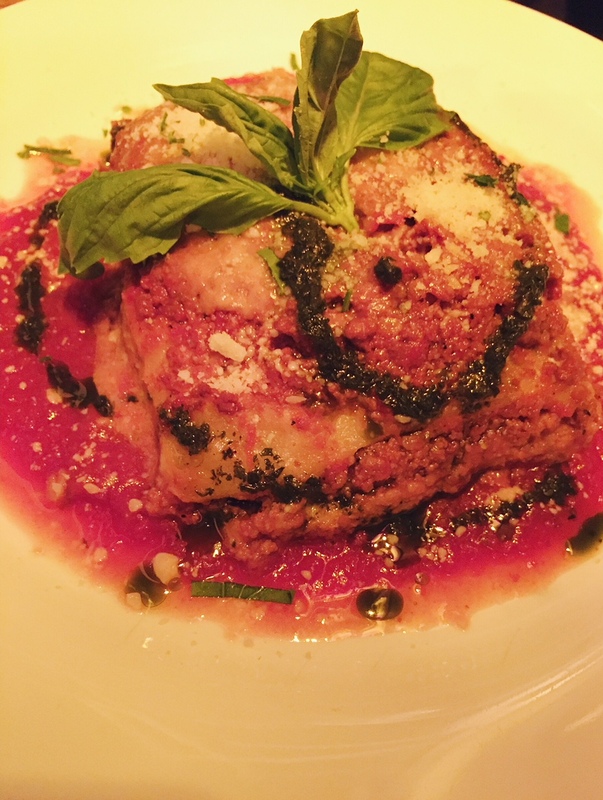 For our entree, we had the Lasagna and Penne Al Pomodoro. I’m still dreaming of that Lasagna!! SO GOOD! 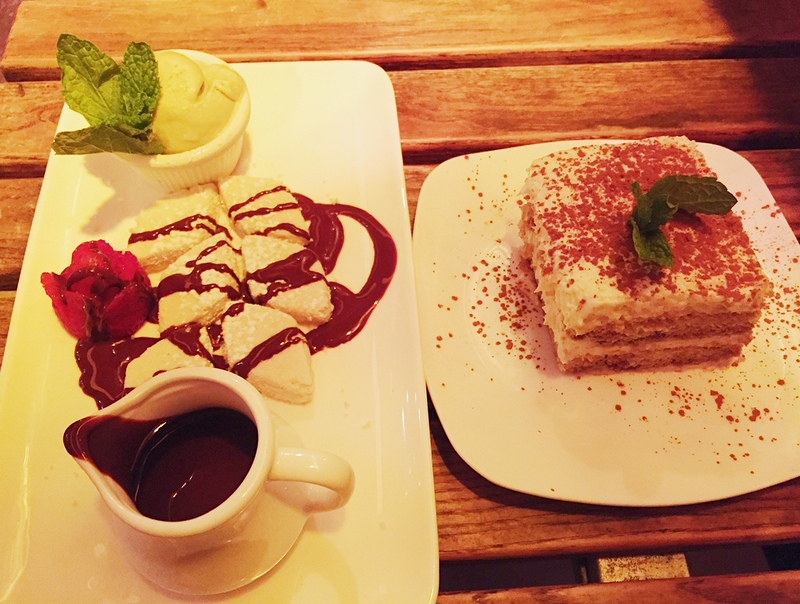 You don’t go to a gluten free Italian restaurant where Tiramisu is on the menu and not order it… so we did!… of course we had to order 2 things, so we also got the Biscotti e Cioccolato. 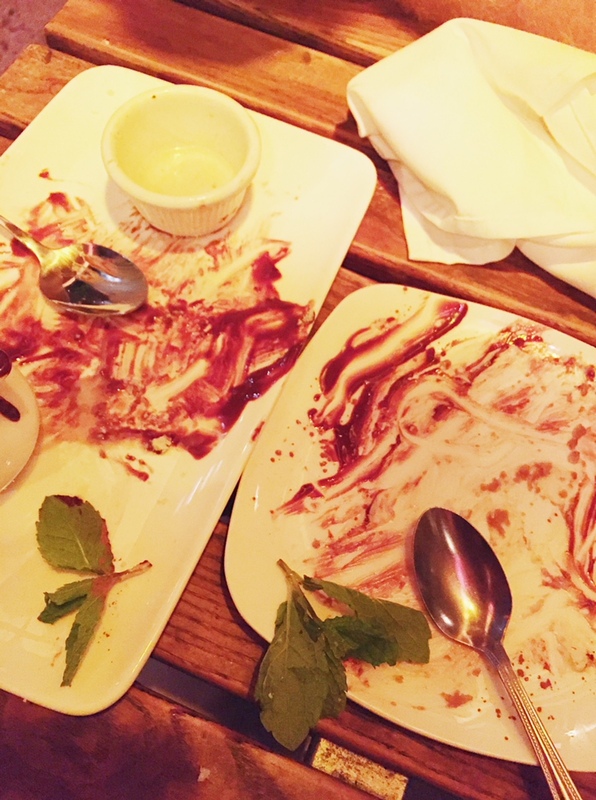 Our server had to take the plates away before we licked them! 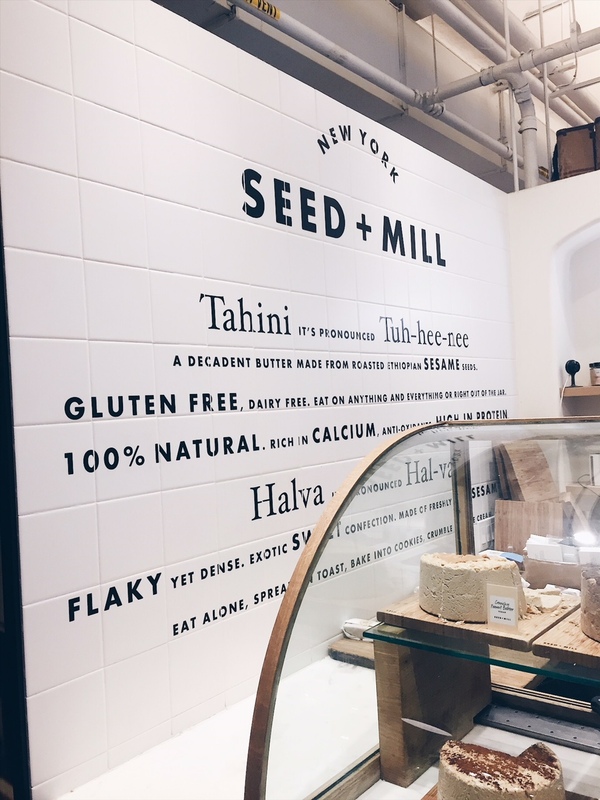 We happened to just stumble upon Seed + Mill when we were in Chelsea Market. Here you will find artisanal halva, tahini, and other sesame treats. We tried the coffee and chocolate/orange halva. I have to be honest, it’s different than I was expecting but still really good! I couldn’t eat a big piece, but it’s a great treat to split with someone. 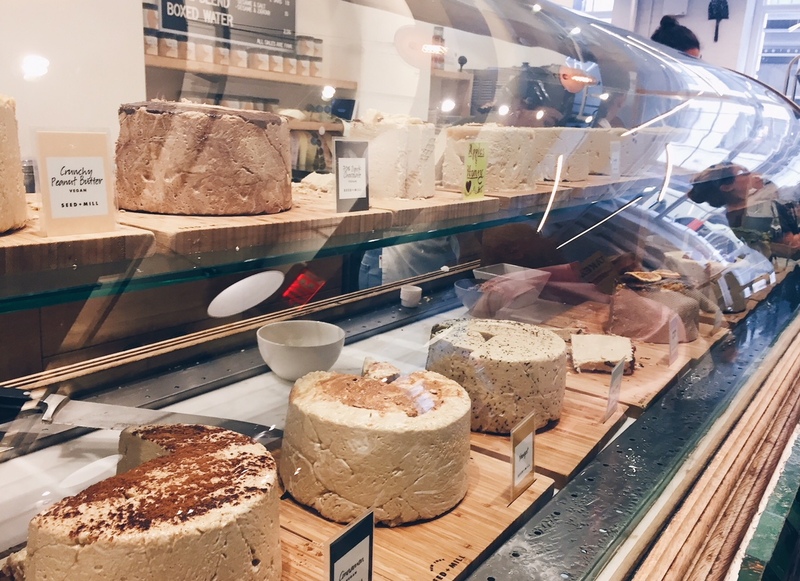 I didn’t even know what halva was, so the sweet girl at the counter explained to me that they make their halva by mixing tahini (sesame butter) with sugar at a high temperature and then hand stirring through our individual flavors. Hu Kitchen was my favorite place in NYC to grab a quick bite. 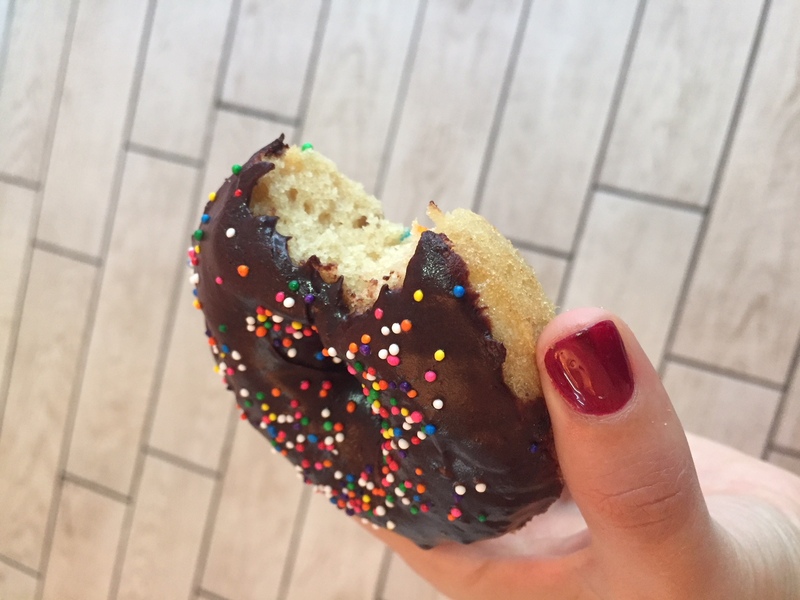 No: gluten, soy, canola oil, refined sugars, preservatives, cane sugar or “natural” emulsifiers… yes, please! When you walk in and see this, you know they mean business! 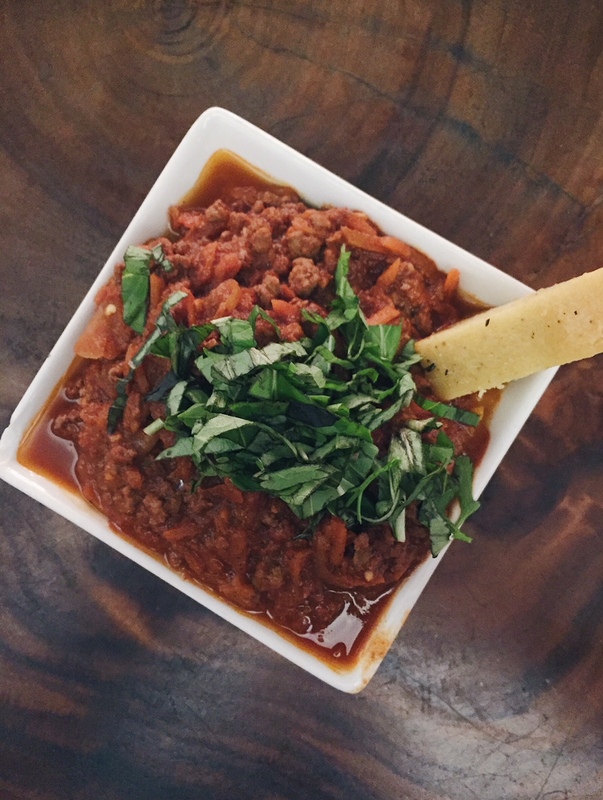 I ordered a bowl with their root vegetable mash topped with “Hu Joe (100% grass-fed ground beef) with tomato, carrot, garlic, onion, paprika, chili flakes. It also came with a piece of grain-free bread. This was delicious! I’ll be honest, when I got home I tried to recreate this bowl! 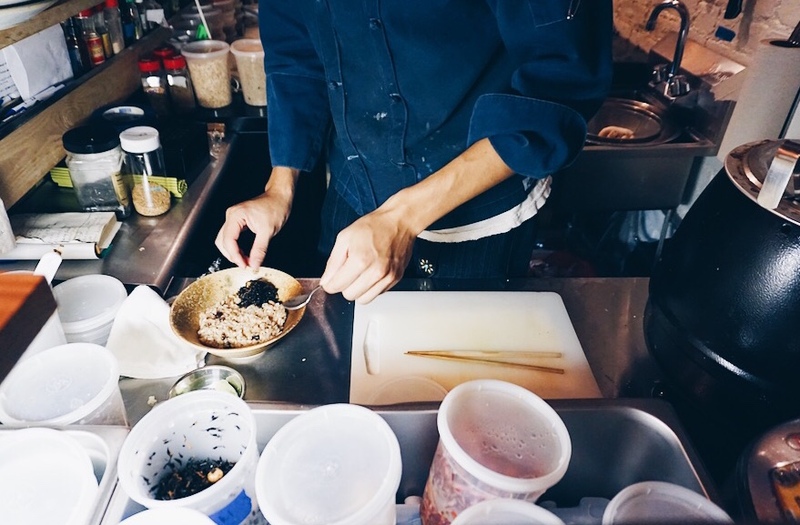 “Hu” stands for “Food for Humans” and is a high quality/low-processed real food casual kitchen and market. If you’re paleo, this is a must go!! 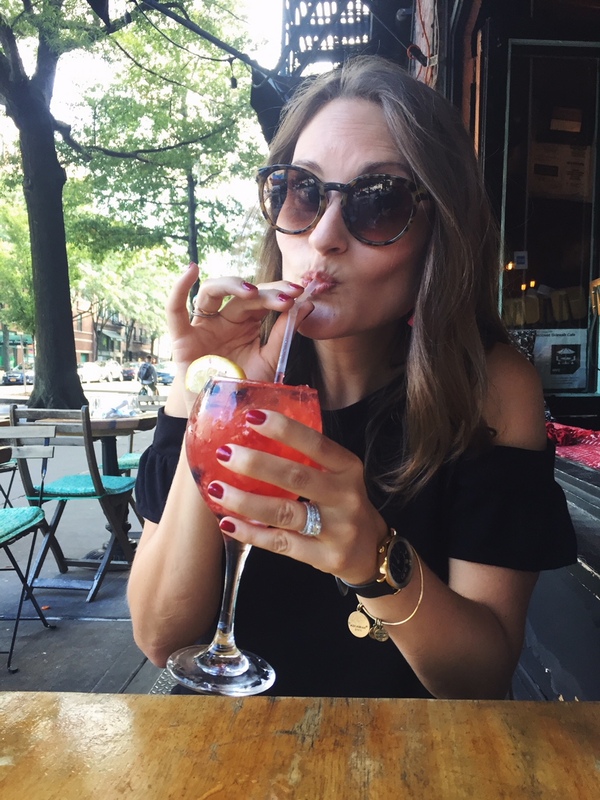 This entry was posted in Lifestyle, Travel and tagged dining out, Gluten Free Restaurants, New York City, Travel. Looks like a delicious trip. Hu’s been on my to-visit list for a while now. Yes, I ate my way through the city! Ha. Hu is a must-go! 100% gluten free?! Those places sound like heaven! This is such a great list! I would be very reluctant to eat at Gohan. If they are marketing themselves as a gluten-free restaurant, yet coming up positive for gluten something is very wrong. Even though they did follow up with you after, they should have been checking before. That is a very careless move and could make someone with celiac disease VERY sick. I wouldn’t trust them. Unfortunately, my Nima has detected gluten at more than one gluten free establishment as well as countless gluten free products. 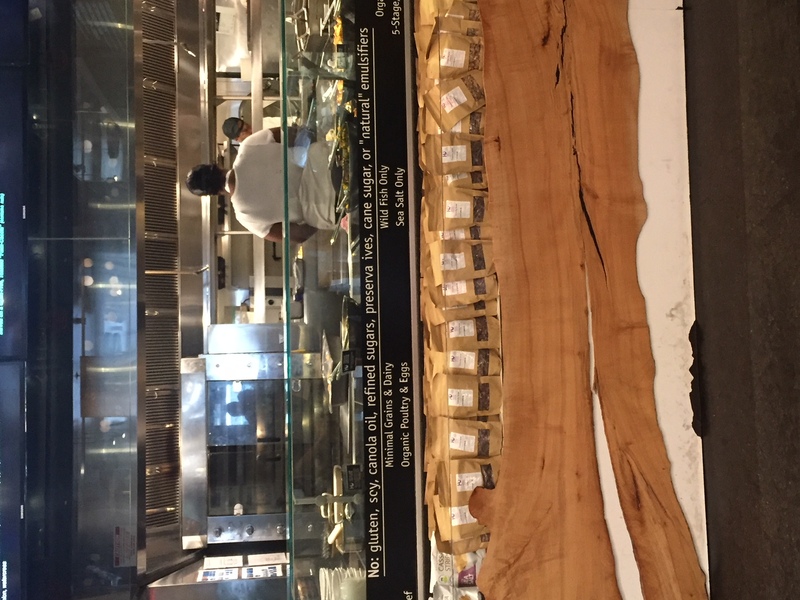 In New York, my Nima found gluten both at Gohan and at Wild. Hopefully, the more everyone speaks up and helps to educate others, the less chance of this happening!